A houseboat, Sindhu Kanya had sank in May this year. Tarkarli will be disappointing for those seeking a holiday this season, as they might not be able to book a houseboat, as all of them are inoperative. Maharashtra Tourism Development Corporation (MTDC) official said that a houseboat, Sindhu Kanya had sank in May this year. Other houseboats are now been repaired. Following the complaints from fishermen, the MTDC officials are now working on retrieving what’s left of the sunken Sindhu Kanya, though the houseboat is now beyond repair and sits on the riverbed. The MTDC is trying to free the houseboat from the sand. Several efforts, including use of high-capacity water pumps have been made to extract the water and prevent the houseboat from sinking. “However, it was nearly impossible to control the flow of water into the vessel. Attempts were made to keep it afloat on barrels and wood, but it sank suddenly. It is now stuck in the sand, about seven to eight feet underwater. We have already dismantled the superstructure, including the rooms, but the lower portion of the boat is still stuck,” the official said. 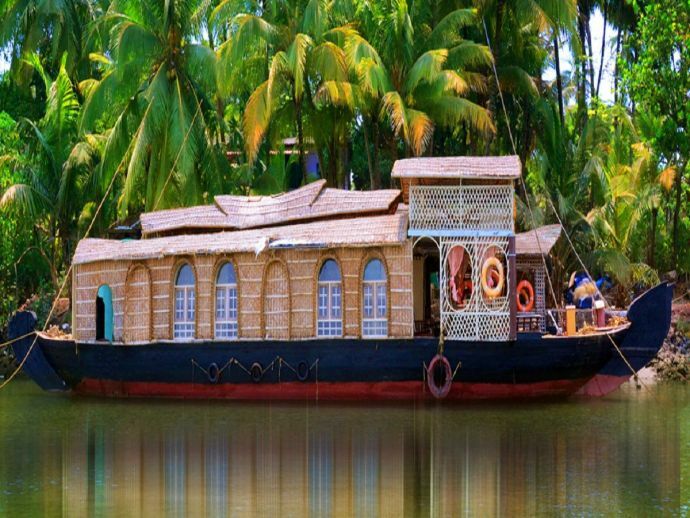 The houseboat was big enough to accommodate two families with a kitchen, a dining hall, a terrace and two room. Now, the tourist spot has been left with no operational houseboats.